My Picture from the Photo-shoot! 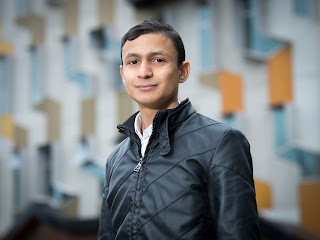 I feel honoured to be featured in La Trobe Times's blog as a model international student along with other high achieving international students. I am particularly grateful to Helen Zhang, one of the International Student Services Coordinators, who recommended me to Florence Pilkington for this publication. Florence organised a photo shoot and interviewed me to publish my profile. My profile covers my achievements during my first five months of studying at La Trobe as well as my life in Melbourne so far. I am very delighted to receive such a recognition from my university for my simple deeds of volunteering and engaging within the university.